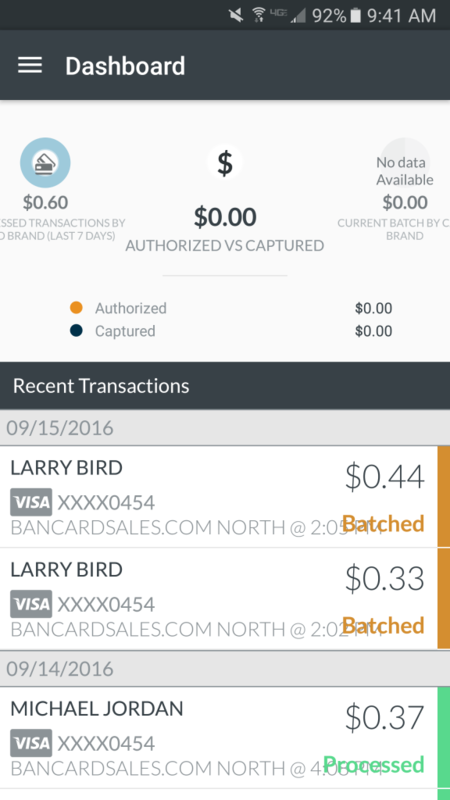 This is how you run a transaction on the Cardpointe Mobile app First you need to download the app and set up your account. If you haven’t done that yet, follow the links in the description to find cooresponding videos and links on how to set the account up. Once you have the app installed, open it up and it will default to the dashboard that looks like this. It takes you right to this interface which will allow you to type in the dollar amount. Make sure that your business name OR your Merchant ID number shows up above the keypad. If nothing shows up, it just means that you haven’t activated the Virtual terminal option, in which case you can do so instantly by logging into Cardpointe online and Click On the “My Account” Tab and click the ACTIVATE button. Remember that this app is a mobile version of Cardpointe online so features and functions that you activate online, will automatically show up here on the mobile app. 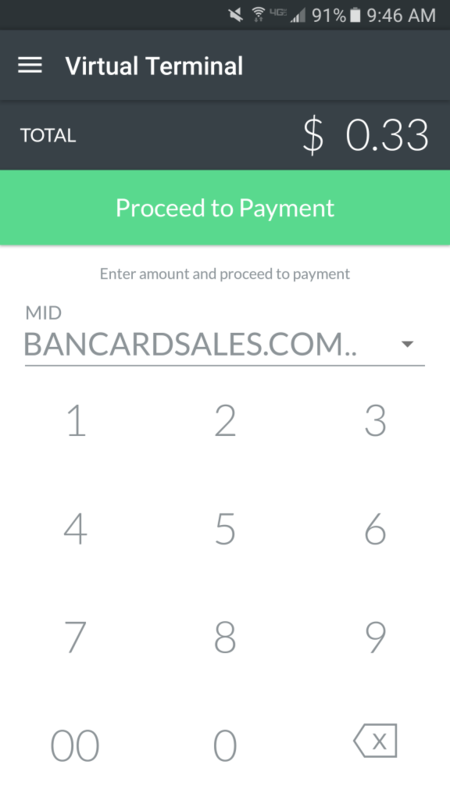 So back at the CardPointe Mobile Virtual Terminal, you simply type the dollar amount of the sale into the keypad, and you’ll notice that the PROCEED TO PAYMENT option becomes active. FIRST, you can search for an existing customer by tapping the search icon in the top right hand corner of the screen, Search for your customer by name, tap, and it will auto populate the fields needed. (You can search by customer name or company name) You can see that it only displays part of the card number for security purposes. Remember that you have the option to check this box to store the customer profile into the secure vault for future purchases from repeat customers. 2nd option is to simply Swipe the card using the Cardpointe card reader 3rd is to manually enter the information by using your phone keypad. Once you have the payment information entered just click PROCESS PAYMENT and this confirmation box will appear. After the customer signs or you bypass the signature, the THANK YOU Page will appear. From here, just tap the EMAIL RECEIPT button to email the receipt to your customer. Lastly, you can click the TRANSACTION DETAILS button and it will show you detail like the transaction # and the Authorization Code for that transaction. If you close out of the Transaction Detail page to early OR you want to view a particular transaction just tap the menu button and select TRANSACTIONS under the Reporting Menu. It’ll bring up a link of your most recent transactions and all you need to do is tap the transaction you want to see, and the details will show. 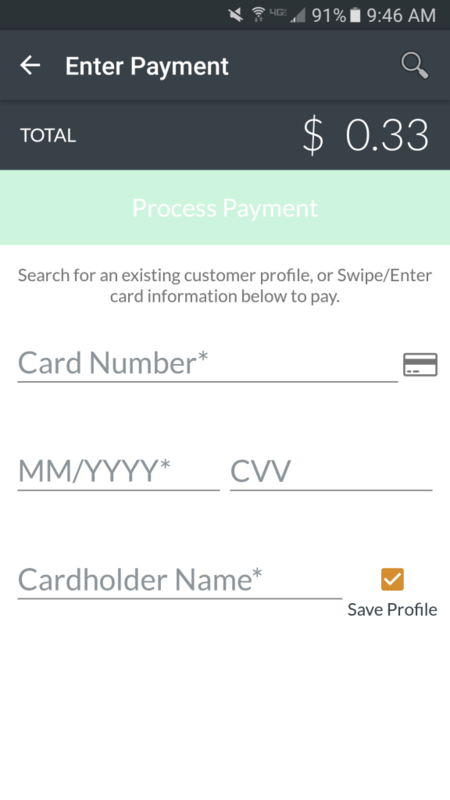 From here you can see all of the process details and the Customer Information including the last four of the credit card number on the mock credit card at the bottom of the screen. The menu at the bottom allows you 4 options. an option to email the receipt. If you tap the button it will ask you to confirm. is the option to void the transaction. is the option to refund. Again, it will ask you to confirm each of these options before carrying out the function. 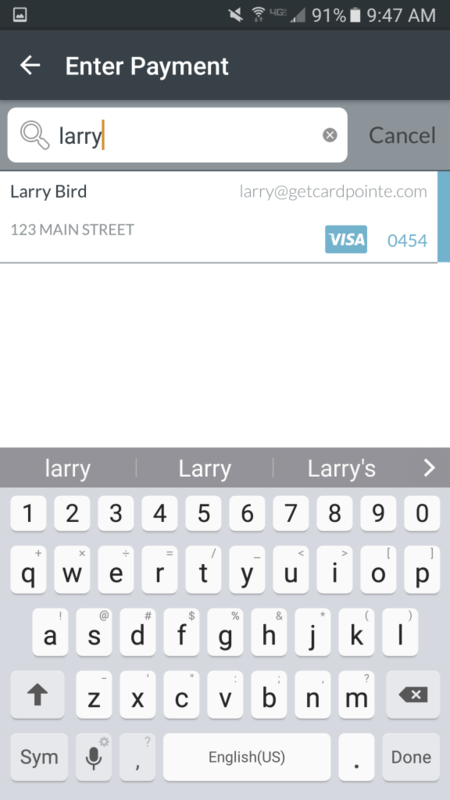 So that’s how you run a transactions in the Cardpointe mobile app. If you haven’t set up your Cardpointe mobile account, follow the links in the description to set up an appointment with myself or another specialist and be sure to like this video if you found it helpful and subscribe to the channel for future Cardpointe tutorials and other payments related information. I’m Brian Manning and thanks for watching.